The location of Overbeck’s and the views from it are truly breathtaking. These come at a price – a journey along steep narrow roads even by Devon standards and parking for only a dozen cars. The best way to reach it is to walk from North or South Sands, or better still Salcombe, and work up an appetite for the tea room! The collection of interesting items in the Edwardian house make it more of a museum than a home. It houses some of Overbeck's art, an extensive natural history collection, some eccentric inventions and a giant music box. The boys found the secret door leading to a room for children with dolls and tin soldiers, then went on the hunt for Fred the friendly ghost. The real beauty however is found in the grounds and their vistas. With several different garden paths to explore and plenty of quiet tucked away benches to eat your lunch or just sit quietly and soak up the tranquil atmosphere. The children were kept amused by a simple but well thought out quiz and trail for both the grounds and inside the house. 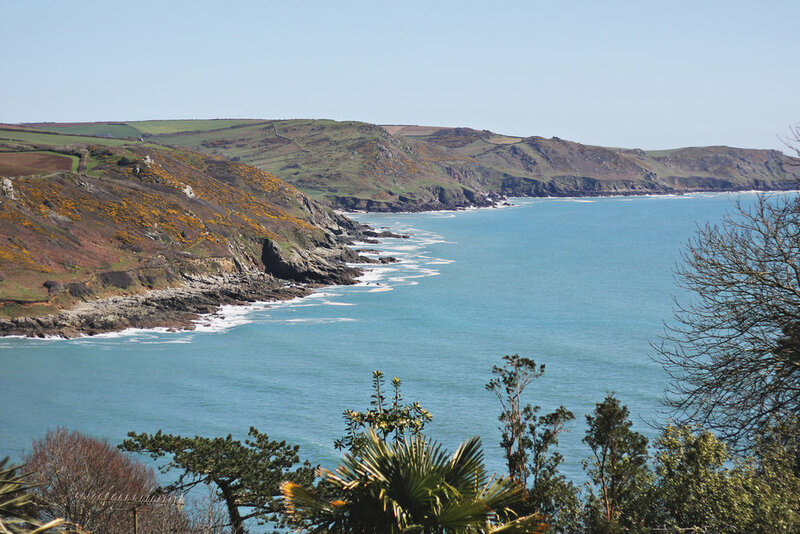 We loved it here – if you half squint you could be somewhere truly exotic…but who would want to travel all that way when you have Salcombe on your horizon.